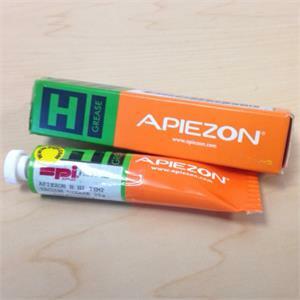 Apiezon H grease is extensively used in a wide variety of applications and industries. It has gained prestigious approvals from British Aerospace, the European Space Agency, and NASA. Apiezon H grease has been approved by NASA as the only material suitable for lubricating the gold-plated threads of small variable capacitors required to operate under high vacuum from -65° C to + 125° C to prevent galling. Apiezon H grease exhibits good vacuum properties in the lower to medium vacuum range at higher temperatures, while at lower temperatures, Apiezon H grease can be used in the high vacuum range.